Washington (AFP) - US President Donald Trump has accused Saudi Arabia of lying about the killing of Jamal Khashoggi, his strongest comments to date on the affair as pressure builds on the administration to strike a tougher line. In an interview with the Washington Post published late Saturday, Trump stepped back from his stance that Saudi Arabia's latest explanation for the death of the journalist inside their consulate in Istanbul was credible, but said he remained confident in the leadership of Crown Prince Mohammed bin Salman. "Obviously there's been deception and there's been lies," he said on the shifting accounts offered by Riyadh. Saudi officials originally said Khashoggi, who entered the diplomatic mission on October 2, had left unharmed, before announcing Friday he was killed inside the building in what they said was an altercation. "Their stories are all over the place," added Trump. 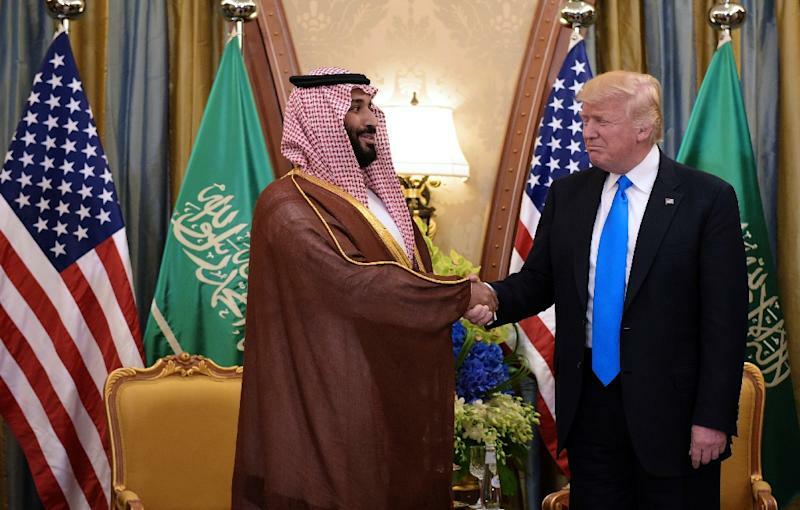 But Trump stopped far short of calling for Prince Mohammed, the kingdom's de facto ruler, to be replaced, emphasizing as he has before how important the US-Saudi relationship is to Washington's regional strategic goals. Trump added that he has yet to be shown any evidence by intelligence officials that would make him believe MBS had any direct role. "Nobody has told me he's responsible. Nobody has told me he’s not responsible. We haven’t reached that point. I haven’t heard either way," the president said. Despite Trump's apparent equivocations, pressure has been building within his Republican Party to take a harsher stance. Speaking on ABC on Sunday, Republican Congressman Peter King said: "There's no way that one person, an overweight civilian, has to be killed. They could have brought him down with no trouble at all," adding he believed there was "an intent to kill." Asked if he thought Prince Mohammed was behind the killing, a fellow Republican, Senator Bob Corker, who is chairman of the Foreign Relations Committee, told CNN: "Yes, I think he did it. Let's finish this investigation."